Samsung has been experimenting with curved displays for quite some time, although all of its efforts have culminated in just one product so far, the Galaxy Round, which is bent longitudinally along the central spine. That is going to change soon though, what with rumors (courtesy of MovePlayers) claiming Samsung is prepping a tablet version of it as well. Likely to be named Galaxy Tab Round, the tablet will incorporate the same curved build except that it will be felt across 7 or 8 inches of curved display. As for the benefits of having a curved display on smartphones and tablet devices, while many debate such a design, one obvious benefit of it is that the display has lesser chances of getting damaged since it is never exposed in its entirety, even when placed face down. 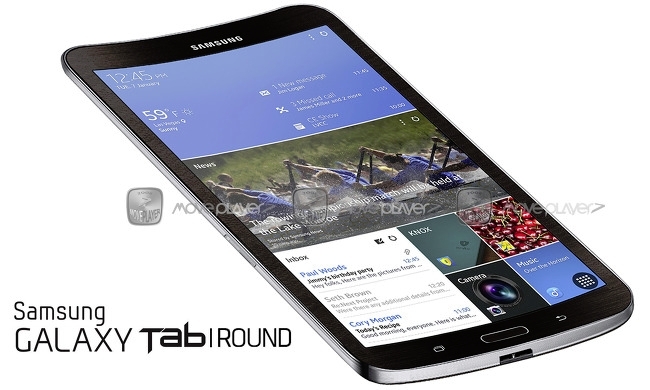 The Galaxy Round does not exhibit the same levels of flexibility as the LG G Flex, which actually stretches and bends. However, a curved tablet will take up more space when needed to be stored in a bag than its conventional flat screen counterpart. Interestingly, curved 4K 3D TVs have been a major draw at CES 2014. Other details such as expected specifications, price, or a probable launch schedule are not yet available.